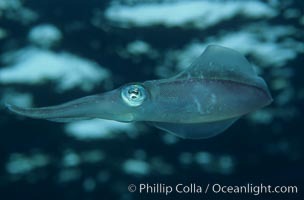 Squid Stock Photos by Professional Photographer Phillip Colla. 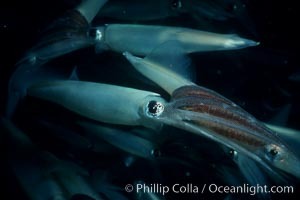 Squid stock photography. 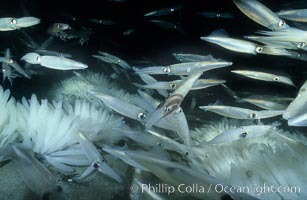 Underwater stock photography of squid. 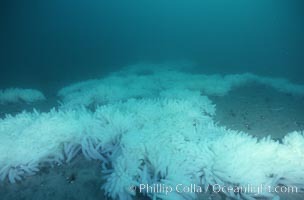 Loligo opalescens squid egg clusters on sand, La Jolla, California. 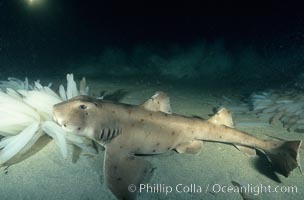 Horn shark, Heterodontus francisci eating opalescent squid eggs on a sandy ocean floor, La Jolla, California. 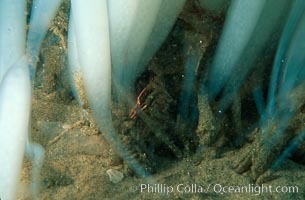 Loligo opalescens, squid schooling, mating and laying eggs on sandy bottom. 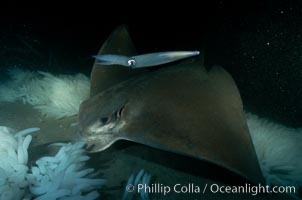 California bat ray (Myliobatis californica) eating squid eggs (Loligo opalescens), La Jolla, California. 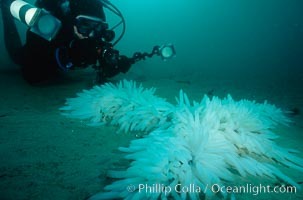 Underwater photographer and squid eggs attached to sandy ocean bottom, La Jolla, California. Loligo opalescens egg casings attached to sand.